The protesters have been camping outside the outside the Defence Ministry in central Khartoum to intensify calls for their President to resign. 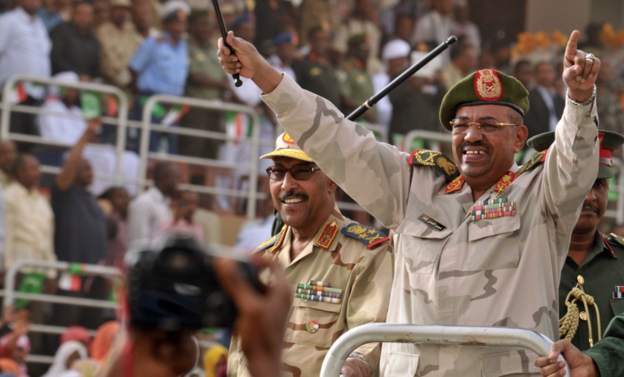 Soldiers in Sudan have in a rare move gone to the rescue of protesters demanding for the exit of the country’s President Omar al-Bashir. 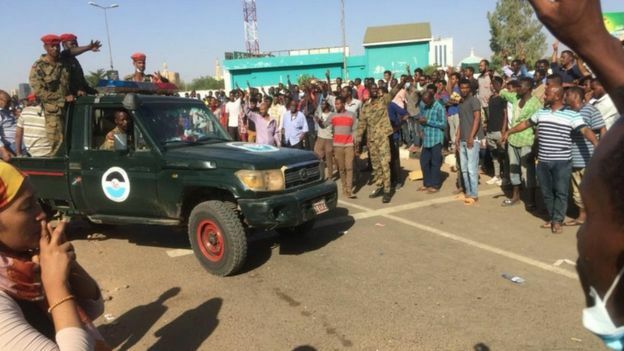 The Sudanese soldiers had intervened on Monday to prevent other security forces from breaking up an anti-government protest. Witnesses reported of riot police and secret service personnel firing tear gas to disperse the thousands of protesters gathered in Khartoum. 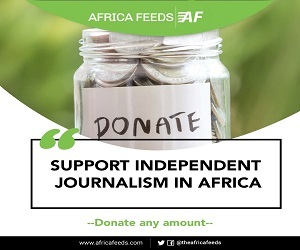 Reuters reported that the security forces retreated without firing back and soldiers deployed around the area. Demonstrators then chanted “The army is protecting us” and “One people, one army”, a witnesses said, according to Reuters. Pressure is mounting on Mr. Bashir to exit power but he has remained resolute refusing to give in. Bashir has always vowed to continue as President, saying he would not be stampeded into leaving office by protests.